C2CRM can be sold as a software and hardware solution on quality IBM equipment or by itself, depending on the customers' configuration. A wide variety of bundles offer ultimate flexibility to meet your computing environment needs. Plus, C2CRM is offered in special solutions packages which include modules designed to solve specific business problems. Flexibility is the key to a successful CRM approach. C2CRM makes it easy to implement your CRM solution in stages that fits your business needs. Simple to implement and tailor to meet our small, niche industry business needs. Excellent support. C2CRM is extremely robust, yet flexible enough to be customized to fit our unique business needs. Our users are not tech-savvy, and are still able to navigate the system to enter or retrieve the information they need to track leads, manage sales activities, track products and provide support for our customers. We use the communication features extensively to send targeted information to one or many contacts in the form of either auto-generated form letters or product announcements. As a small business with limited resources offering 24/7 support, this has improved our ability to keep in touch with our customers both on the sales side as well as with product support. In using functionality included with C2CRM along with some customization, we are notified when customers register to download our products, then through a series of workflow enabled form letters, manage customer set up and authorization to download specific product types. For us, the key to choosing and retaining a software product is in how well it is supported. We have never had an issue reaching and receiving assistance from the C2CRM support team. They are always professional, courteous and most of all, knowledgeable. C2CRM has become so tightly integrated with our business process that we cannot imagine how we ever have managed without it. There is really very little that we don't like about C2CRM. The only thing that comes to mind is the inability to do a mass delete, which can be both good and bad. We may not be able to quickly delete a list of items that we no longer need, but we also cannot quickly delete items that should NOT be deleted! 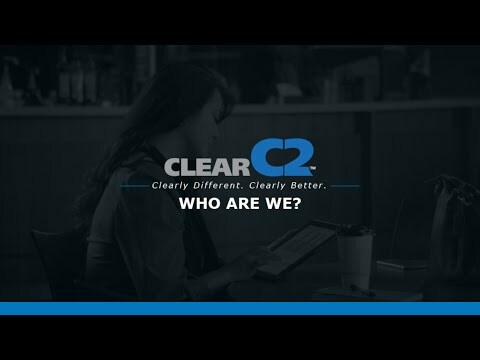 We have a great working relationship with the Clear Team. C2 is core to our business structure. Allows us to manage large amounts of technical documents required by our Customers, as well as track the dissemination of the documents to the Customers and conversations associated with that process.We have spent a considerable amount of time individually tuning the product to fit our business model, and have gotten superior results. Powerful, flexible, and adaptable to the way our company functions. We have spent a considerable amount of time individually tuning the product to fit our business model, and have gotten superior results. Powerful, flexible, and adaptable to the way our company functions. No material issues that come immediately to mind. If we come across an issue the C2 Team corrects it in a timely fashion. C2CRM has been a reliable Business Partner of mine for over a decade. Their Team truly understands my business and has helped me to provide a reliable and customizable solution for my Sales Force and Internal Support Team. C2CRM provides my Remote Sales Team with real time Leads, Customer Issues and much more. This is our Killer app! Team is the main reason why we are extremely pleased with our decision. The logic is written in the software to manage our customer base. Team has been extremely helpful to point out the virtues and benefits. C2CRM streamlines your sales process by providing real-time information on leads, prospects and customers. It improves your marketing efforts by tracking which marketing initiatives work and which ones do not. It streamlines your customer service by providing comprehensive customer information. Your service team will help customers faster and more efficiently which ultimately improves customer satisfaction and loyalty. Below are some frequently asked questions for C2CRM. Q. What type of pricing plans does C2CRM offer? Q. Who are the typical users of C2CRM? Q. What languages does C2CRM support? Q. Does C2CRM support mobile devices? Q. Does C2CRM offer an API? No, C2CRM does not have an API available. Q. What other apps does C2CRM integrate with? Q. What level of support does C2CRM offer? Q. Which apps is C2CRM compared to most often?